The last two years the KNIR, DAI and OIKOS joined forces to organize a course in Rome on coinage and identity in the Roman and Early modern world. In 2018, Dutch (Re)MA and PhD students will be offered the opportunity to also get acquainted with Greek coins and the methods to study them in a course in Athens, organized by the NIA, Radboud University and OIKOS. This will be the start of an alternating course on coinage as a historical source in Rome and Athens. From now onwards the KNIR and the NIA will take turns in hosting a ‘coinage course’ every year. The course in Athens (2018) focuses on Greek numismatics by addressing questions of method, history, archaeology, and economy. Students will be introduced to the main coin productions of the Greek world from the birth of coinage to the Roman conquest (including the Roman Provincial coinages considered, in many respects, as Greek coinages as well). Special focus is given to methodology, quantification and a long-term economic approach. The general historical context of the coinages discussed will be addressed, while questions of iconography, of messages transmitted by coins, and notions of targeted audiences will also be considered. In addition, practical skills in coinage identification will be practiced. The course in Rome (next edition in 2019) deals with the construction of identity through coins issued in the Roman world and the Early modern city states. In this course we explore this theme by examining the development of coinage production in these periods and addressing questions such as: Who issued the coins and the medals? Who used them? Could the messages on coins target specific audiences? What was the influence of tradition on the messages spread by this medium? What do we gain from comparing coins from different periods (antiquity and the early modern era), different types of rule (city states and empires) and different scales (local and imperial)? The course provides students with theoretical knowledge on the ideological function of coins and medals as well as on different numismatic methods. In addition, practical skills in the field of coin identification and exhibiting coins are an integral part of the course. 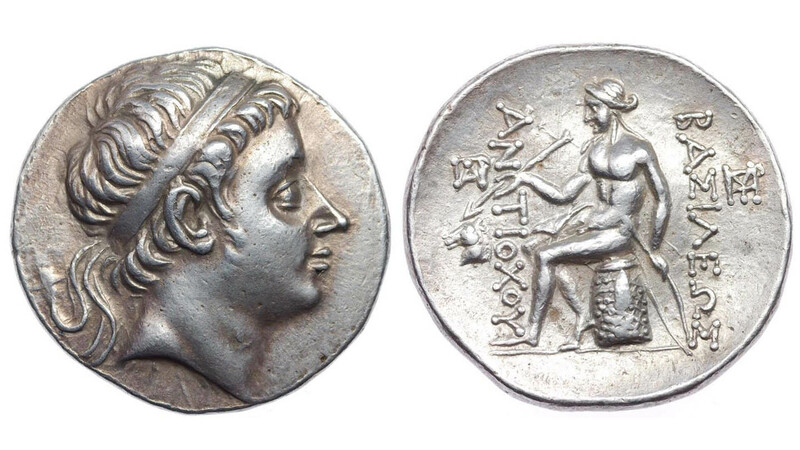 The Radboud University Nijmegen (RU) and the Netherlands Institute at Athens (NIA) under the auspices of OIKOS organize a postgraduate methodological intensive course in numismatics. This course is part of the joint numismatic project taking place every year, once in Athens, once in Rome (with the KNIR). – Long-term economic approach, such as the velocity of coin circulation or the ratio between monetized and non-monetized wealth based on the specialization of the two main tutors of the course. Historical questions will also be addressed, since this course is meant to be an introduction to both Green numismatics and numismatics as a science as well. The general historical context will be addressed for every coinage under study, while questions of iconography, of messages transmitted by coins, notions of targeted audiences will also be considered. 2 ECTS for preparing and presenting an individual assignment. The assignment will be decided by the tutors in close discussion with the students based on their on-going research in the framework of their master and/or PhD thesis. This work (3,000 words long) is meant to examine both the capacity of students to address numismatic questions and their level of mastering the relevant bibliography and numismatic tools. The preparation for the assignment should already start before the course and a short bibliography will be addressed to the successful candidates in due time (1 ECTS). Applications – a letter of motivation, a CV, and a recommendation letter by their supervisor (to be completed by an official grades’ report for Research Master students) – should be sent to the organizers [Prof. Dr Panagiotis P. Iossif (PPI-Radboud Universiteit/EBSA) and Prof. Dr François de Callataÿ (FdC-Royal Library of Belgium/Ecole Pratique des Hautes Etudes, Paris/Université Libre de Bruxelles)] via email to the following address: P.Iossif@let.ru.nl with the mention “Numismatic seminar: Application”. The deadline for applications is Tuesday, June 10th 12 am. Only a maximum of 12 (twelve) students will be selected, a number imposed by the capacities of the NIA facilities. The seminar will take place at the Netherlands Institute at Athens, at the foot of the Acropolis (Makri 11, GR-117 42, Athens; www.nia.gr) and accommodation will be offered by the NIA to all successful candidates, as well as free access to the main Athenian libraries and passes to Museums and archaeological sites. An inscription fee of 150 € is asked for file preparation and registration. Coin hoards: what questions hoard analysis can answer? How to create numismatic databases?